The Amika Mini Leopard Styler makes a great gift, and it's very reasonably priced at $25.00. There's nothing wrong with gifting one to yourself, either! This product comes with a sturdy leopard print nylon zipper storage pouch that measures 4.5"x7.5". 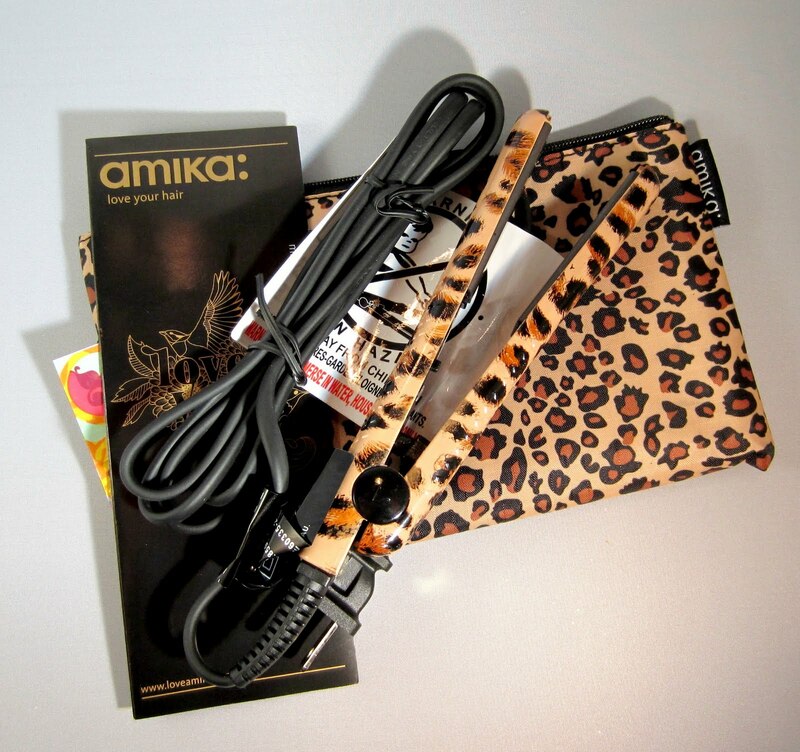 The pouch contains the mini flat iron, a detailed product instruction guide, and a 0.1 fl. oz. packet of Amika's Obliphica with Argan Oil Treatment for frizz free and nourished hair. This treatment can be used on damp or dry hair. The iron has a 6' cord, 1/2" 100% ceramic floating plates with Far Infared Heat Technology, dual voltage for travel, and it maintains an even temperature of 400 degrees. The iron itself measures just over 6". 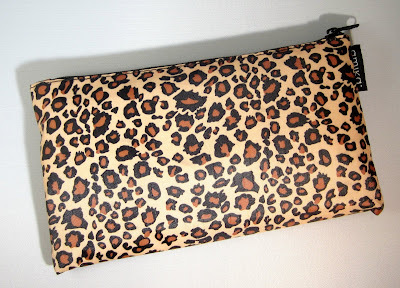 With its petite size and leopard print pattern, it's cute as can be! 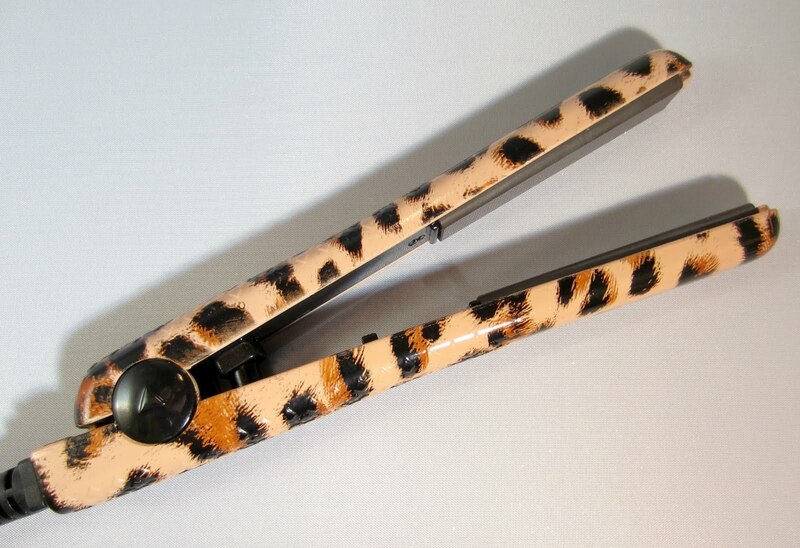 Not only is it cute, this little powerhouse is so much nicer than my previous mini flat iron. The plates glide through my hair easily without pulling, and it does a fantastic job of straightening. My hair is cut in a short choppy bob right now, so it's perfect for that style. Even if you have longer hair, this would work well to straighten the ends and keep those baby hairs around the hair line in check. I also have a stubborn little cowlick, and this iron allows me to get much closer to my scalp than my other mini, so that pesky annoyance is a thing of the past now. The on-off is a simple switch with an red LED light that lets you know that it's on. This has a set temperature of 400 degrees, and I haven't noticed any damage to my hair after using it daily for more than 2 weeks. My previous mini had a high/low setting, and always used the high, although to be honest, I don't know what that temperature was. 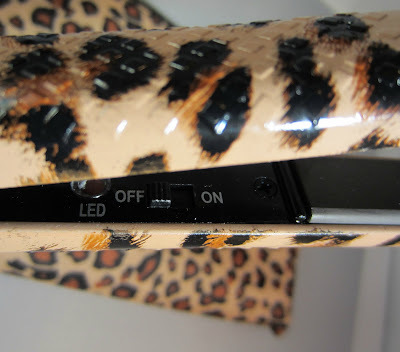 When my hair is longer, I use a Solia flat iron and set it at 350-375 degrees. This iron heats up in just 10 seconds. For reference, my hair is extremely fine. The handle of the iron has a textured grip heat resistant area, making it easier to hold on to. I am completely satistied with this little flat iron. It's made very well, and in addition to having 100% ceramic plates, this styler also has ceramic heating elements behind the plates. Most conventional irons that claim to be ceramic, actually use metal heating elements behind the plates. The great thing about ceramic plates is that they radiate far infared heat, which preserves moisture in the hair shaft and protects the hair cuticle from damage. The portability of this product makes it perfect for the gym, travel, or even carrying in your bag for touch ups later in the day. 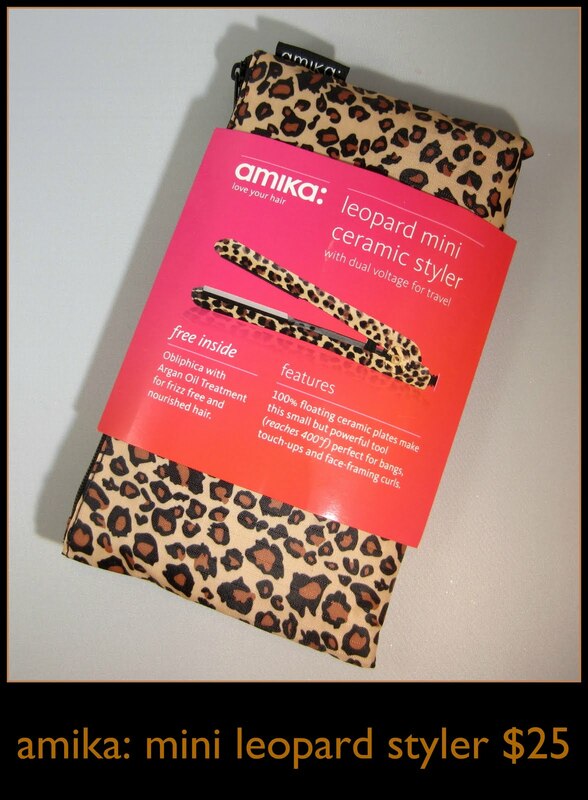 The Amika Mini Leopard Styler is available at Sephora for $25.00. If you want this by December 23, Sephora has an offer that runs through midnight tonight that will give you free 2-day shipping. Use code UPS2DAY at checkout. hi, i am so sad that mine pulled my hair and it didnt work to flip hair out (which is what i wanted it for, for my daughter.) it did do a good job with curls though. it also got really hot on the outside. it is going back.